In tonight’s episode of Scandal, star Kerry Washington graces the screen in yet another stylish yet understated ensemble. The 40-year-old actress, who plays leading lady Olivia Pope in the thriller drama, has been rocking some impressive fashion throughout this Season 7 of the show. We are coveting this grey and white checkered cape coat, which is layered over a basic black outfit and works for the current wintry temperatures. If you are wondering how to steal Washington’s latest Scandal style, here’s how to get the look right now to suit your own budget. 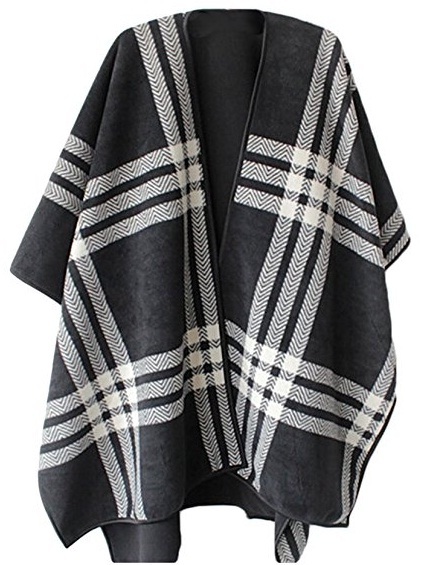 VamJump Blanket Poncho Cape, $39: This simple and affordable cape features a loose fit and a contrasting, bold white checked pattern. Whether you are sporting business casual just like Olivia Pope or stepping out in skinny denim, an inspired poncho just might be the way to go. 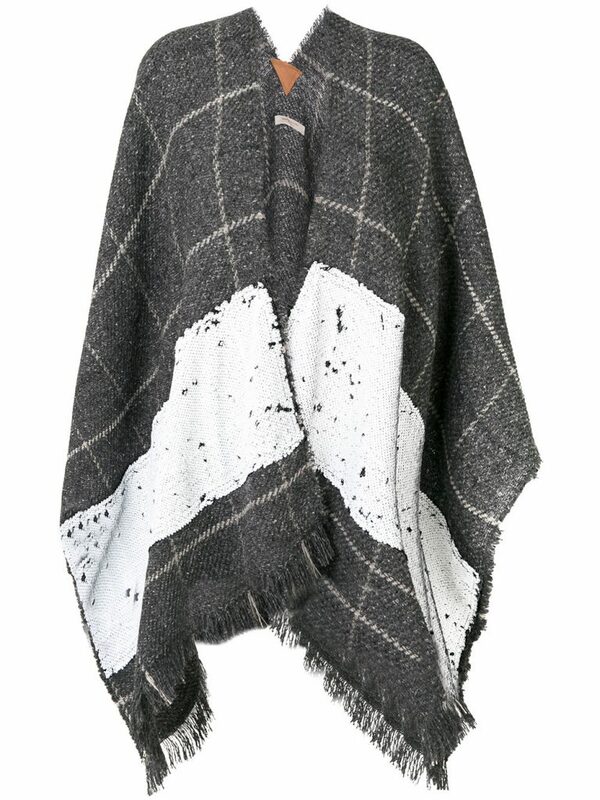 GAP Plaid Tie-Belt Poncho, $120: GAP’s mid-priced poncho coat makes an appearance with its darker shades of grey and wool blend fabric. The coat is detailed with short sleeves and a waist-cinching belt, for a more figure-flattering take on a classic flowing cape. 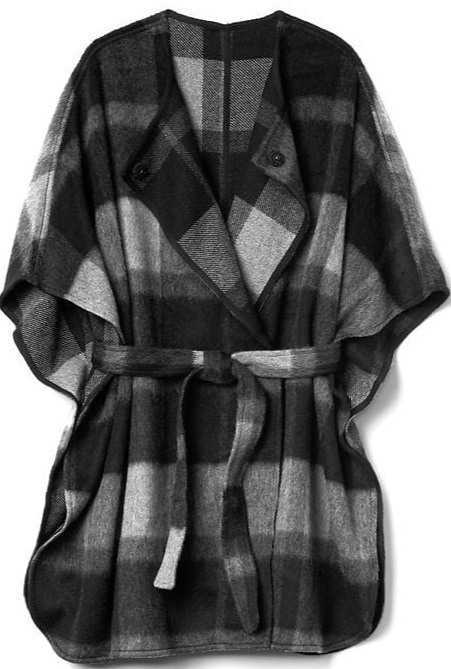 Ermanno Gallamini Checked Cape, $578: As an investment piece, this Ermanno Gallamini piece is a bit of a splurge. However, if you want a more heavy duty design for the Canadian winter, this Italian cape is made with virgin wool. The subtle white print stands out against the light grey colour, with colourblocked white sections for a finishing touch.